Our latest podcast is called “Running to Do Evil.” (You can download/subscribe at iTunes, get the RSS feed, or listen via the media player above, or read the transcript.) 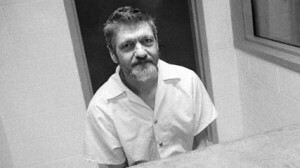 It features a prison interview I did in 1999 with Unabomber Ted Kaczynski, whose younger brother, David, turned him in. When we all learned last week that the alleged Boston Marathon bombers are brothers, it made me think of the massive leverage that an older brother can exert on a younger one. Ted and David Kaczynski were extraordinarily close for many years, and shared a view of the modern world as impure and overly industrialized. But as Ted went further down the path toward fundamentalism and violence, David not only extricated himself but ultimately made the painful decision to tell the FBI that the terrorist who had become known as the Unabomber was likely his brother. TED KACZYNSKI: It was in many respects, not in all respects, but in many respects a positive relationship from my point of view. But I don’t think it was from my brother’s point of view. And in the end it turned out to be disastrous from my point of view, as you can see. When Ted was arrested, David fought hard to keep him from getting the death penalty. This made Ted angry; he wanted the death penalty. So where the rest of the world sees David Kaczynski turning in his older brother as an act of heroism, Ted sees resentment. Where the rest of us see David pleading for his brother’s life as an act of mercy, Ted sees it as further punishment. Ever since Ted’s arrest, David has worked hard to try to repair some of the damage done by his brother. While Ted never has never expressed regret or apologized to the victims, David did. He donated money; he toured the country speaking against violence. It is bizarre, to me at least, listening back to this tape of Ted. He makes it sound as if he is the aggrieved party. Can you imagine having an older brother like that – who tells you that up is down and down is up? Soon you might start believing him. And if he has bad intentions, violent intentions, well, you might start believing that those are your intentions too. We don’t know enough yet about the Boston bombers to say for sure if Dzhokhar, the younger brother, was pulled into his older brother’s orbit or whether he followed willingly. But we do know that David Kaczynski didn’t do what the younger Tsarnaev brother allegedly did. He didn’t join forces; he didn’t capitulate; he didn’t run to do evil. Further reading: a recent interview from NJ.com with David Kaczynski about the Boston bombings (before the suspects were known) and an essay David wrote for the book Brothers: 26 Stories of Love and Rivalry ; an FBI summary of the Unabomber and the New York Times’s coverage of his trial; the Unabomber’s “manifesto” (which led, ultimately, to his being identified). The title of this episode comes from the Al Cheit prayers of the Yom Kippur liturgy (further commentary here). My wife and I always tell our children, we will always love them, nothing they do will change that and if they break the law we will turn them in and come visit them regularly in prison. I can't say I disagree in principle but I also can't help but note that this is an attitude Ted Kaczynski would also undoubtedly endorse as a justification for his actions. I think setting your own judgement above that of vested authority (which is what you are doing when you disregard the law) is like disobeying a command on a battlefield, sometimes you have to but you'd better be sure you are right and that you are not doing it for your own advantage or convenience and that you don't evade the consequences. In any case this is an idea we will discuss with our children when they are older. "Momma brought you into this world and Momma can take you out, too!" I listened to this this morning. Well done but creepy and chilling. boring podcast man, what happened to the fun economics facts and why are you trying to be This American life now. Don't think this was boring but agree with Bob that it is not exactly Freakonomics. It is a free podcast so why complain..just seems a bit odd. "Where the rest of us see David pleading for his brother’s life as an act of mercy, Ted sees it as further punishment." I don't know about the rest of you, but I do agree that life inprisonment is further punishment. That punishment is probably well deserved, but it certainly is no act of mercy. There is no file and the media player isnt working....has it been taken down or unavailable to the UK? Very interested to hear this! Is there a list somewhere of the music used in the episode? Click on the "read the transcript" link above and you'll find the music credits. Thanks, just what I wanted to know as well -- Das Vibenbass sounds great! Also, of course, another interesting podcast. What is the SONG you used in the "tease" or "promo" for this?! This was a great and almost scary in some ways. I have a big brother in prison right now and he has been in the pen for about 30 years for murder. This is the second time he has been in prison. The first was for armed robbery and drugs and it seems it is always someone else's fault for the bad things he has done. Even in school I defended him because he was someone I looked up to. His girlfriend (which I think is absolutely insane)told us just before his last parole hearing that" he just could not find it in his hart to forgive me". Not sure why he would need to forgive me since the person he killed was my girlfriend. I have had a job since I was in school and always tired to be the best person I can and treat others with the respect that I would expect from them. It seems that bad people always want to blame others for what they have done. I just don't understand why that is. I have not talked to him since he was incarcerated and do not intend on ever doing so. Bad people blame other people for what they have done because if they accepted the blame they'd have to stop being bad. It's the hallmark of a bad person that they blame others or deny what they did was bad at all. Very few people want to believe they are the bad guy so they do psychological contortions to make it not so, at least in their own mind. What song is playing in the background of the "promo reel" or "tease" for this podcast?!! What struck me about Ted is what an incredible narcissist he is. There is absolutely no responsibility or compassion in the man. Please, what is the song at 23:45?